I’ve always loved cats. Any kind of cat really. House cats, leopards, cheetahs, lions. Which is why it’s not surprise that my spirit animal is an Egyptian cat. What is a spirit animal, you ask? In Native American and other shaman traditions, it is thought of as a spirit in the form of an animal who is meant to give you guidance in this life. For me, it’s a symbol of protection, playfulness and power in my art. I first found out about totems through Vanessa Oliver-Lloyd’s class at Get Messy. In the class, she talks about the idea of using symbols to represent ideas and concepts in art. For example, roses can represent love, while a crown can represent loyalty. 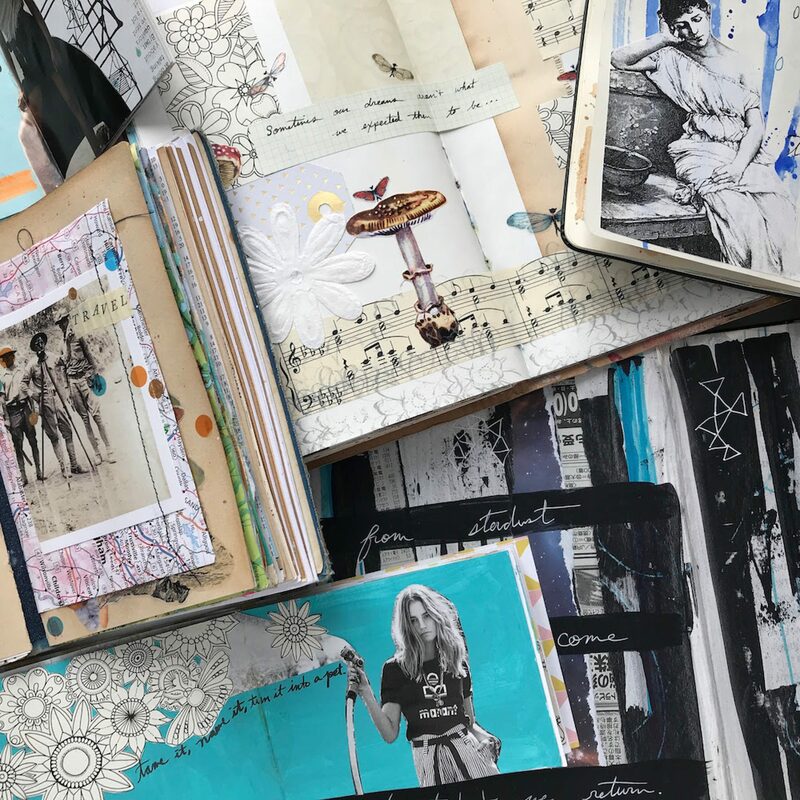 She also teaches different aspects of archetypes, using collage and mixed media techniques and so much more. Her class is just one of many classes on sale right now over at Get Messy for Black Friday. And if you get the bundle, you also get access to 11 other classes taught by different artists. Why am I telling you about this sale? Because these classes have taught me so much about different techniques, from using markers, to creating self-portraits, to using botanical drawings in my art journals. It’s also your LAST chance to get access to these classes. Starting next year, Get Messy is retiring their courses and only some of the classes will be available for members. If you buy the classes today, you will get lifetime access to the courses. The sale begins November 23 and ends November 26! If you feel stuck, are starting out in art, or are a seasoned pro, it’s a great way to jump start your creativity!